See Images below for what is included and options to consider. Hashtags! 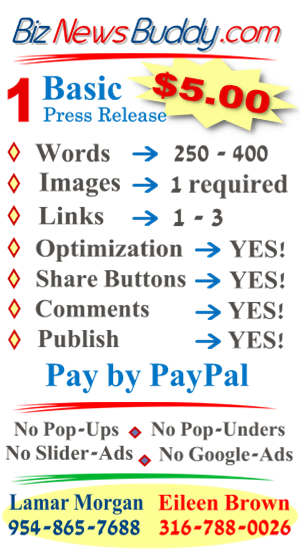 - Spread your article much further. Anchor text for most links. 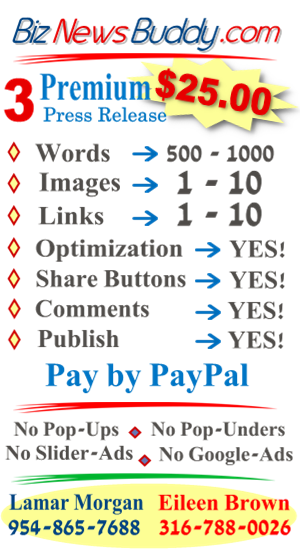 Image optimization includes Alt Text and Caption. 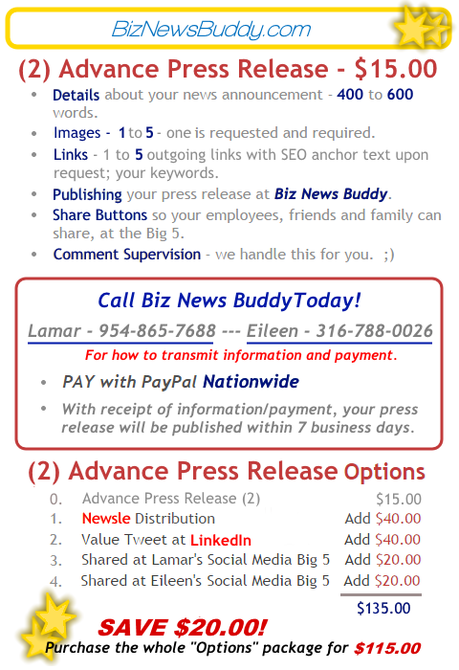 Optimization of your press release copy. The 'Better Together' Approach Linkedin Group posted entry. 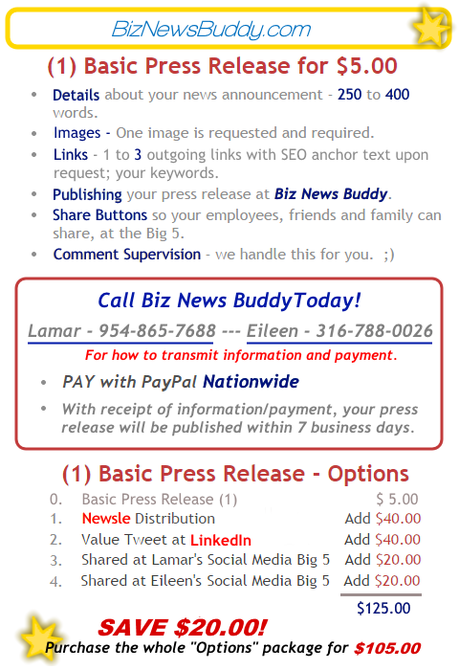 Biz News Buddy Magazine Edition publication which includes one image. 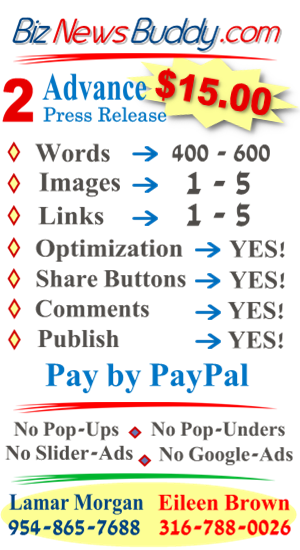 ﻿﻿Share Buttons -﻿﻿ boost exposure and visibility at the Big 5 social media outlets. Comments Section - managed for you. Send your best customers and friends to comment. Magazine Edition - "show off" edition provides an additional link to your press release article. Press Kit Campaign - Expand with options offered to make your press release into a real AD campaign. Press Release Packages with Some Options - Great SAVINGS! Click any of the 3 images below to enlarge. Twitter has the best/most organic reach of ALL of the social media platforms. different and varied audience resides. Just ask! Press Release Published in PRINT. 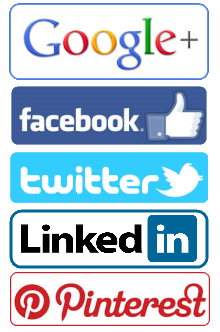 At this time the Big Five is made up of Google+, Facebook, Twitter, Linkedin and Pinterest. Many other social media outlets may come into play such as Instagram, YouTube, Vimeo and more. However, we guarantee exposure at the Big Five with stated options. Your associates, employees, etc. may share the links wherever you have determined your best audience resides. 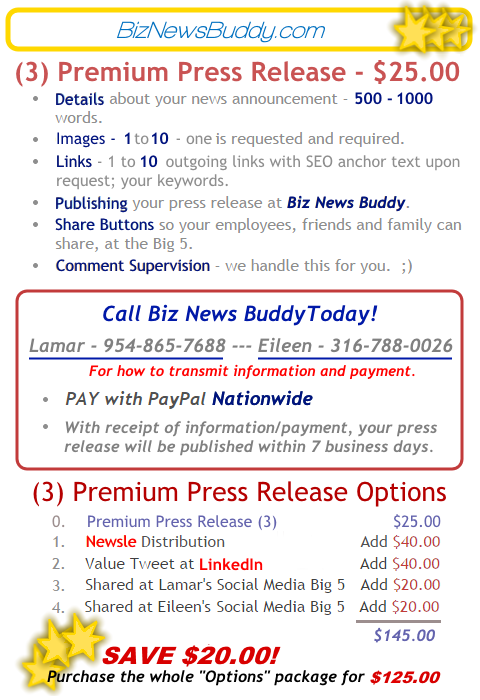 By utilizing social media to spread the press release content, your article can really make the rounds. With RTs (Retweets at twitter) and shares by your connections and your employees/friends connections, the reach goes further and further. Like an upside-down fan the spread on exposure/visibility "fans" out to include a much wider audience.